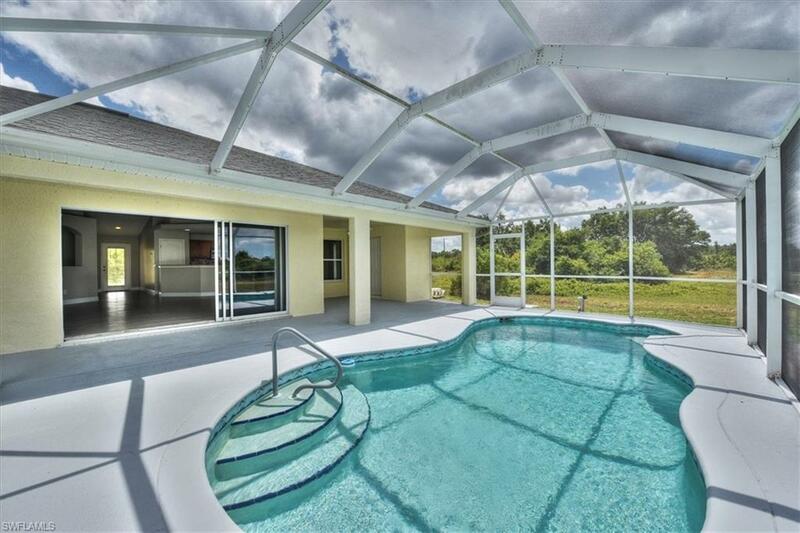 Absolutely Gorgeous POOL Home ready for your new family! This home was just brought back to life and is move in ready! This property is located on a large private lot that backs up to a canal on a quiet street just a short drive to 82. This great room floor plan with 2012 sq ft features 3 Bedrooms/ 2 Dens w/ 2.5 Baths. This could easily be a 4 bedroom home! Amazing upgrades with 100% waterproof luxury wood like plank floors throughout, new 5 Â¼ baseboards, hurricane impact windows, remodeled bathrooms, epoxy coated garage floor & a centrally located remodeled kitchen w/ tile back splash, Frigidaire Gallery series stainless appliances, upgraded cabinets, Corian countertops & partial reverse osmosis. HUGE MASTER SUITE w/ a massive walk in closet & pool access. Enjoy your sparkling pool w/ shaded lanai complete with a pool bath, resurfaced pool deck and a newer rescreened enclosure. Recent upgrades include professional paint inside & out w/Sherwin Williams super paint, professional landscaping with sprinklers, new fixtures & hardware, alarm pre wire, new blinds, newer pool pump & filter, newer hot water heater, blinds & a welcoming front porch! Owner is a licensed real estate agent.